Rose Island Night at Cappy's! 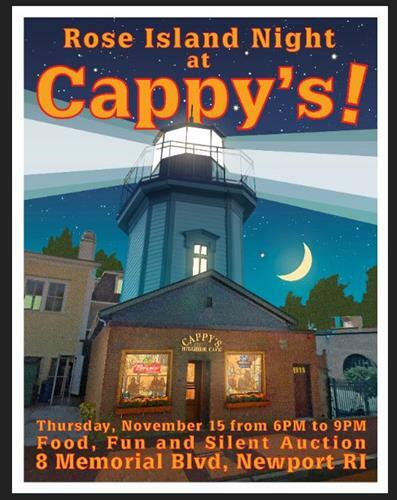 Name: Rose Island Night at Cappy's! Join us for food and fun and a silent auction to benefit Rose Island!